Once again, many of us may be ahead of the trend: A new study by Mintel reports that 55 percent of Americans prefer to drink at home (not that surprising; that’s where our beer is). 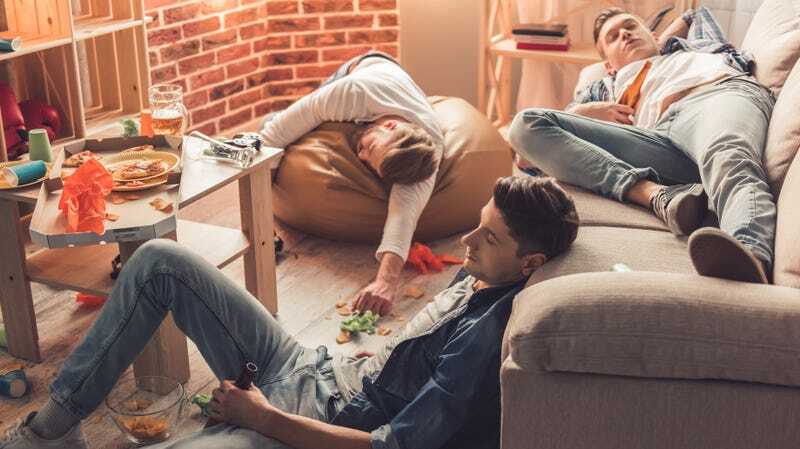 But in keeping with previous findings that show millenials don’t like to go to Costco and prefer ordering in their groceries and takeout, many of these same millennials prefer getting drunk at home rather than going out. Granted, there are other factors in play: the extra four dollars in that horrific tax bill that Paul Ryan was crowing about has yet to reach our paycheck, and many millennials have giant student loans, along with other financial drains like rent, utilities, and cell phone bills. So drinking at home is likely also more popular because it’s cheaper. Also, less crowded. Also, you can wear comfy clothes. Also, you can binge-watch. Wait… why we were going out again?